We Inform. ACNJ researches issues and produces nationally-acclaimed reports to inform policymakers and the public and to advance solutions. Our educational forums bring experts from New Jersey and around the country to share strategies that work. Our NJ KIDS COUNT project provides critical data on child well-being to state leaders, advocates and the public. Using data to drive decisions leads to smarter choices that help more children. We Advocate. ACNJ works closely with state and federal lawmakers and policymakers to bolster their understanding and response to the needs of children and families. We Build Coalitions. ACNJ’s e-advocacy network includes more than 8,000 people who speak up for children at the local, state and federal levels. 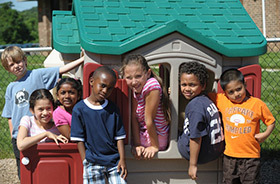 We equip local advocates with the skills to fight for children in their own backyards. We bring together groups of professionals to develop better practices and quality programs. And we build coalitions of concerned citizens who share a commitment to improving the lives of children and families. We Equip Caregivers. Through ACNJ’s KidLaw Center, thousands of parents, caregivers and professionals gain the information they need to be their child’s strongest ally and advocate. We Elevate Children’s Voices. With the help of ACNJ, thousands of children have had their concerns, thoughts and visions shared with lawmakers, governors and other state leaders, giving them a say in the decisions that drive their future. We can’t do this important work alone. We need caring, dedicated people to join us in speaking up for New Jersey’s children, sending the message that people throughout the state believe children should be a top priority for all of us – our schools, our communities and our elected officials. As a non-profit, ACNJ counts on support from individual donors, our foundation partners and corporations to succeed in our efforts.